A tale of Humanity, Infidelity, and Triumph of the Human Spirit. Angela and Pearce were like any other happy African American couple in Los Angeles in the early 1970's. But all that came crashing to an end when Pearce told his wife, Angela, the police were after him for a crime he said he didn't commit. The young girl's heart said, "Wither thou goest..." and she left her home and family to flee with the husband she loved to Valdosta, Georgia. One morning, nine months pregnant, Angela found a condom in Pearce's shirt pocket.... This is her story. Abrendal Austin was born in Valdosta, Georgia, and raised in Norwalk, Connecticut. She moved to Santa Barbara then Los Angeles, California. She has written for a number of newspapers in the Los Angeles area and is the author of several short stories. 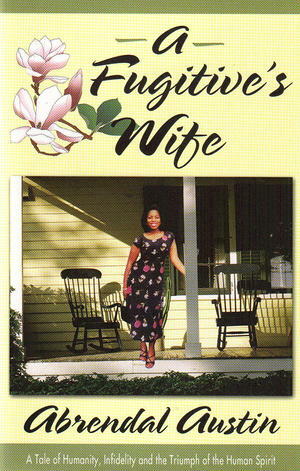 A Fugitive's Wife is the first in a series of Angela Jones novels. Abrendal lives in Riverside, California and she likes to move around so there is no telling where she might be next.